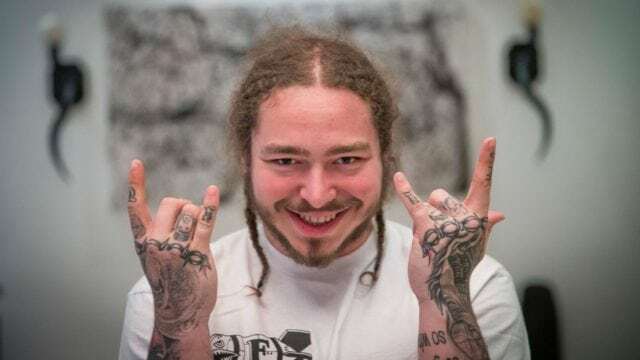 Post Malone is a New York rapper who rose to fame in 2015 following the release of his Recording Industry Association of America (RIAA) certified quadruple platinum single, “White Iverson” off his debut studio album, ‘Stoney’. Malone, who is also a singer, songwriter, and record producer, does not fit the traditional description of a hip-hop artist due to his ethnicity. That has, however, not stopped him from transcending barriers to appeal and receive rave reviews from the traditional hip-hop acts and their fans. Post Malone was born Austin Richard Post on the 4th of July, 1995 in Syracuse, New York. He was, however, raised in Grapevine, Texas by his father, Rich Post, and his stepmother, Jodie Post. At the time, his father, Rich, worked for the Dallas Cowboys as a concessions manager. The rapper is an ethnically white American. However, looking back through his ancestry, he is of partial Native American descent as well as of Italian descent through his maternal grandfather, John Carlo Pavetto, who was born to Italian parents. At a very early age, Malone fell in love with music and thanks to the popular video game, Guitar Hero, he learned how to play the guitar. He transitioned from being a heavy metal fan to loving soft rock and then hip-hop. He soon started creating beats and recording music on various digital audio workstations. He had in the meantime been attending Grapevine High School where as a senior, he was voted “Most Likely to Become Famous” by his classmates. Post Malone went on to attend Tarrant County College before later choosing to drop out to pursue a music career in Los Angeles, California. In LA, he, along with a few other people, formed the group BLCKVRD and began to record music together. He later met Rex Kudo who produced several of his hit tracks, most especially, the breakthrough track, “White Iverson”. Within a month of its release on Soundcloud, the song had gotten over one million views and led to Malone signing his first recording contract with Republic Records. In almost overnight, Post Malone became a sensation, working with a number of heavy hitters in the music industry. His debut album, Stoney, was eventually released in December 2016, with its single titled “Congratulations” featuring Quavo, being his first top-ten song on the Billboard Hot 100 chart. The album has since been certified double platinum by the RIAA. In 2017, he released his sophomore album, Beerbongs & Bentleys, which features the single, “Rockstar” featuring 21 Savage. After just four days, Malone’s album was certified platinum by the RIAA. The song “Rockstar” stayed at the number one spot on the Billboard Hot 100 for eight weeks while his second single, “Psycho”, featuring Ty Dolla Sign debuted at the number 2 spot. He later won Top Rap Song at the Billboard Music Awards for “Rockstar”. With a music career that is just about three years old, Post Malone has done really great for himself to have an estimated net worth of around $8 million, a figure that is way above what some of his older colleagues brag about. He managed to achieve this by going on a number of tours; first, the Purpose World Tour (2016) where he was an opening act for Justin Bieber and then, a personal 41-date tour later that same year before another 28-city tour with Atlanta rapper 21 Savage in 2018. His debut album was also the most successful hip-hop album and the third most streamed album in 2016. Add that to a few other entrepreneurial endeavours which include a tattoo parlour in LA and a record label, then you can see why he can afford to live a lavish life. Malone has been very private about his personal relationships. Not much is known about his girlfriend, Ashlen, apart from the fact that the pair has dated on and off since 2015 after she reportedly booked him for a show at a nightclub. Post Malone credits his dad for his love for music today. His father, Rich Post, who was a disc jockey earlier in his days, introduced his son to a lot of musical genres, including rock, country, and hip-hop, which helped him form his taste in music that can sometimes be described as a fusion of rock, metal, and hip-hop. 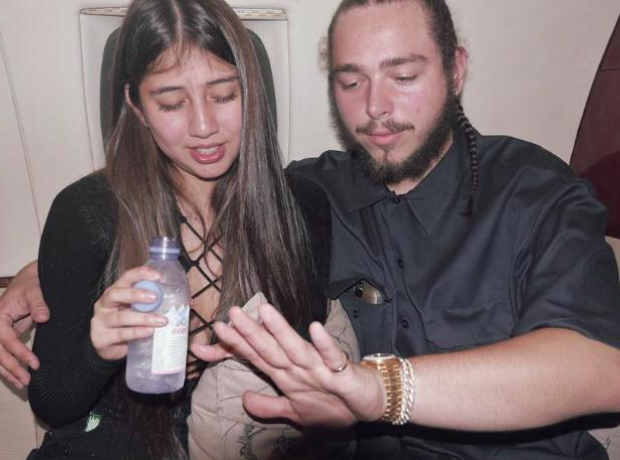 There are unsubstantiated rumours that Post Malone has fathered a daughter either with his girlfriend or with someone else. These reports so far appear to be false as there has been no proof to back the claim up. To the best of our knowledge, Post Malone does not have a child although we would not be surprised if he later came out to confirm it.